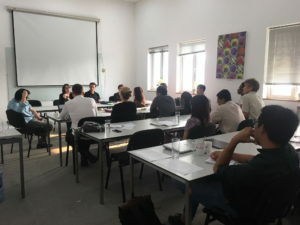 Modellers from Oxford tropical network (OTN) had their annual meeting on 13th Mar to discuss the roles of modelling as the bridge between science and policy. 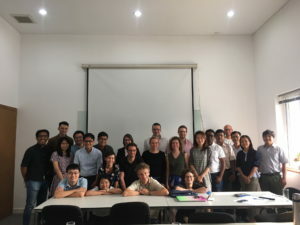 Over 25 modellers and people who were interested attended the meeting in Oxford University Clinical Research Unit in Vietnam (OUCRU), Ho Chi Minh City (HCMC) Hospital for Tropical Diseases (HTD). There were 3 main themes including Vaccination, Infection Dynamics and Health economics to inform policy. Also the session on guide to modelling career development and possible future collaborations. Great opportunity for all modellers to meet up and share their thoughts and experiences. Thanks to the modelling group at OUCRU for organising this wonderful event! POST DOC in STATISTICS and PATHOGEN PHYLODYNAMICS – Imperial College, London, U.K.